Founded in 1992 by Executive and Artistic Director, composer and theatre director János Novák, Kolibri Theatre for Children and Youth is the only professional children’s and youth theatre in Hungary which has its own company and performs for children as young as 0 and up to 18 years of age. 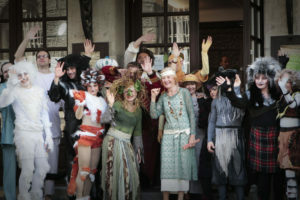 Kolibri’s extensive and manifold repertory of 33 play ranges from adaptations of classic, Hungarian and world literature, through contemporary Hungarian and international authors’ plays, to performances, puppet shows, fairy tale plays, operas and physical theatre for young children and adolescents. 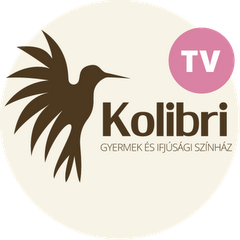 Owing to János Novák’s inventive initiations, Kolibri is a pioneer in establishing new genres in Hungarian children’s and youth theatre by introducing live music on stage, theatre for babies and toddlers, classroom theatre, youth plays, operas, and new adaptations of novels for screenplay and stage. Our aim is to make the youngest audience, their parents, grandparents and teachers feel that every viewer is taken seriously. We strengthen the self knowledge and the mutual understanding in the audience – promoting tolerance and respect for others – in an entertaining and thought-provoking way. The pioneer activity of the Kolibri Theatre enabled other theatres to extend their repertoire from the ages 6-12, to ages 0-18 nationwide. 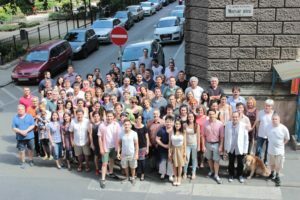 Based on the results of a recent research in theatre education, the Kolibri is ranked as the biggest theatre pedagogical workshop in Hungary. It also reaches the largest group of young people in the country. Our international cooperations also contributed greatly to the enrichment of our repertoire of plays for the very young and youth theatre. 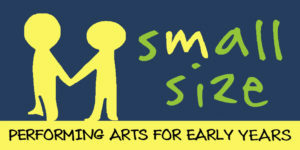 Both of our international projects are still going on: Small Size – Performing Arts for the Early Years (for the smallest) and PLATFORM Shift+ (for the youth audience) will ensure intellectual and financial support in the future. Our highlighted program is the yearly organized Kolibri Season Opening Festival, “Night of the Theatres” and we also cooperate in the Kaposvár ASSITEJ Biennale, which is organized every second year – next time in 2018. Sessions connected to the performances are aimed at processing the dramatic experience through discussions and play. We offer educational and theatrical means for the audience to express their views and opinions about conflicts and difficult situations depicted in the performance thus helping to deal with, and to face the problems in a friendly, playful, communal context. Groups may take part in the sessions by prior arrangement with Kolibri Theatre. How does a work of literature become a play on stage? Who are the people who participate in creating the play we call theatrical performance? What is meaning in a play? What are the secrets of the theatre? These are the issues we discuss with primary school children who participate at Kolibri’s reading sessions. Sponsors: Municipality of Budapest, National Cultural Fund of Hungary, Ministry of Human Capacities, Hungarian Academy of Arts, European Union – European Committee – Creative Europe Program.